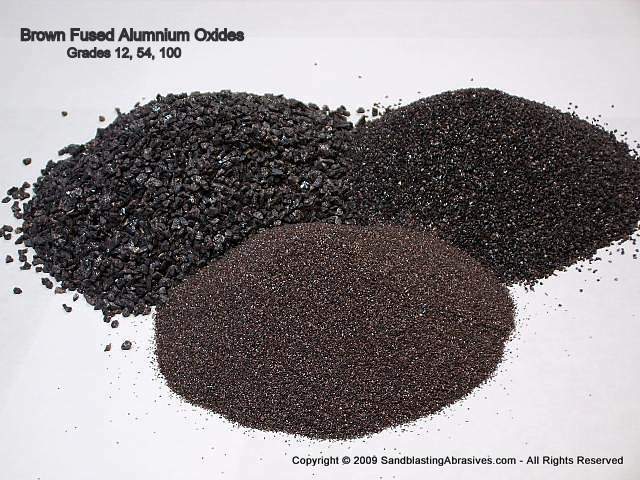 Use this page to order Fine Sizes of Brown Fused Aluminum Oxide Abrasive Powders, Grades 280 through 1200. 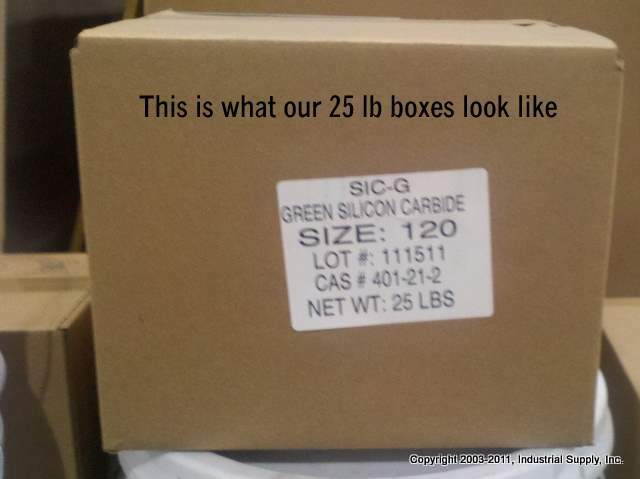 Minimum online order is a 25 lb box. Quantity Discounts Available Below. Sinterblast, or Sintered Aluminum Oxide has a MEDIUM friability. Think of it as the middle ground between Brown Fused and White Fused. It can be recycled in coarse sizes, but will not have the long life of a Brown Fused AO. It is often preferred by powdercoating companies due to its lower cost. If you are just taking off mil scale prior to coating, this is a great media to try out. THIS IS WHY YOU BLAST AT A 60 PSI WITH THIS MEDIA. ANYTHING HIGHER AND YOU WILL NOT ACHIEVE GOOD RESULTS. 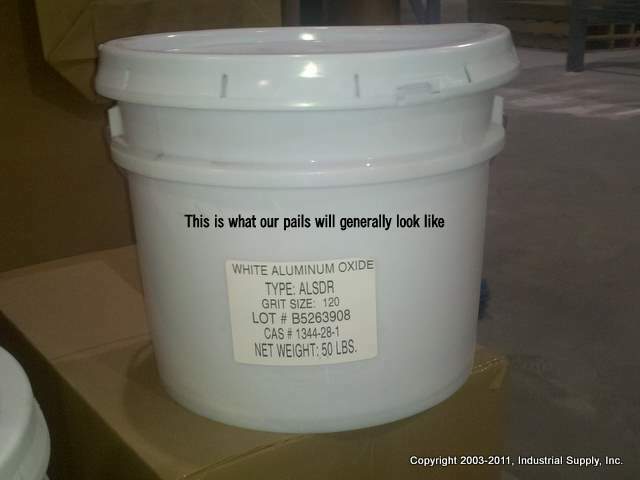 Drum Packaging: This media is generally sold in 200, 300, or 400 lb fiber drums, depending on the grit size. (Finer the grit size, the more "fluffy" it is, taking up more space).